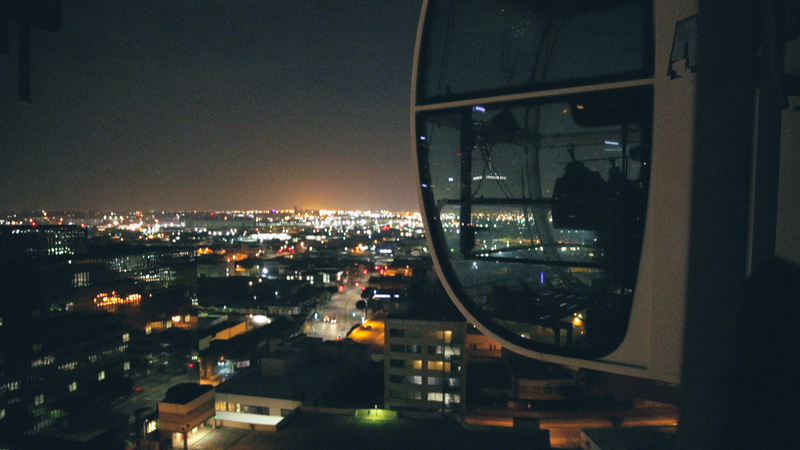 My name is Lucas Celler, I am a producer, director, editor, motion designer and photographer based in Los Angeles. Most recently, I cut and motion designed “Shirkers”, a doc about what would have been Singapore’s first independent film—a road movie eponymously named “Shirkers”—if the footage didn’t mysteriously vanish after shooting wrapped. It made its premiere at Sundance 2018 where it won the Directing Award. Many moons ago, I made my entry into filmmaking through making DIY skateboarding videos as a kid in the suburbs of Chicago. I moved to Los Angeles after DePaul University film school to intern for producer Chris Hanley, who was making “Spring Breakers” at the time. I met director Jeff Feuerzeig (“The Devil and Daniel Johnston”) through Hanley’s production company when he was in the beginning stages of making “Author: The JT LeRoy Story”, which is about the fictional literary persona JT LeRoy. I went through bootcamp under this mentorship and began working for him as a creative assistant, then graduated to becoming his editor and associate producer. Last year was the first time I served as a feature editor, first on another documentary called “Olompali: A Hippie Odyssey”, directed by Gregg Gibbs, and then Shirkers. “Own The Nite” follows the enigmatic street photographer Acer as he ventures through the urban jungle of Downtown Los Angeles. With every guard he eludes, crane he climbs up and rooftop he sneaks onto, Acer recounts how he began his illegal style of street photography. I followed Acer (@acer._) on Instagram for about a year before I ever met him. I remember when he started posting these radical photos of himself climbing cranes in Downtown Los Angeles and I thought his story and the visuals around it would make a fantastic documentary. The problem was I didn’t know how I’d approach him. It felt like contacting Banksy because Acer is a masked avenger in that way. Then I happened to meet another famed Instagram photographer at a party. I mentioned Acer’s name to him and how I’d love to make a film about him. He was like, “Well, would you like to meet him?” I just couldn’t believe my luck but little did I know that was just the first step. The way we met, it felt like a mobster movie or something where the protagonist has to prove himself first in order to meet the kingpin. I was instructed to break into this building on Figueroa Street Downtown and met Acer on a rooftop. 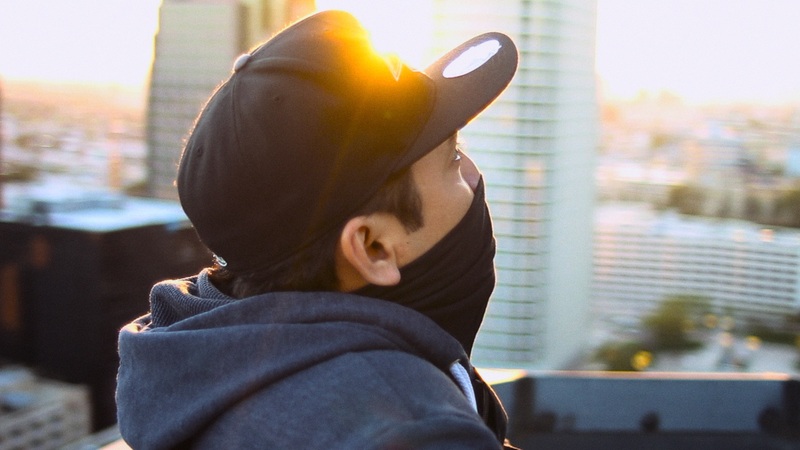 After I managed to do that, I found Acer at the end of a helipad where he was presiding over DTLA like Batman. When I introduced myself, he blatantly asked me if I were a cop. At the time several police districts were messaging him on Instagram with warnings that they were going to lock him up for what he was doing if he didn’t stop, so he suspected I was an undercover cop. It then took me another 6-8 months to convince him I wasn’t in fact a cop. I pretty much gave up on the project till one night he texted me out of blue and asked me to meet him Downtown, so I quickly packed a camera and that’s how the project started. All the footage was shot over the course of four nights, spread across an entire year. The editing process was strenuous because firstly, I cut most of the film at night after long days working on a different film. So the title “Own The Nite” is very appropriate because daylight hardy touched the project. Secondly, I was a total maniac perfectionist about making every shot and frame matter. I wanted to replicate exactly how it felt following Acer around on all of his conquests—all the adrenaline and vertigo filtered through a first-person perspective lens. It was a conscious choice to not film a talking head interview with him. I didn’t want to break the forward momentum, so I only recorded audio of him speaking. 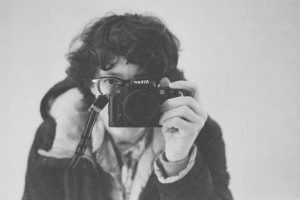 I’m very influenced by the Direct Cinema films of the Maysles Brothers and D. A. Pennebaker, so I worked within that form as much as possible. As the assistant editor and one of the VFX artists working on Author: The JT LeRoy Story, I was in charge of finding a recipe for the most convincing “fake Super 8” for a few B-roll shots we had of things such as photos inside scrapbooks, punk rock ephemera like buttons and badges, and mutilated Barbie dolls (you have to watch the film to understand that one…) The fake Super 8 had to match the real Super 8 archival used in the film, so I searched the entire internet for a plug-in that knew what it was doing. 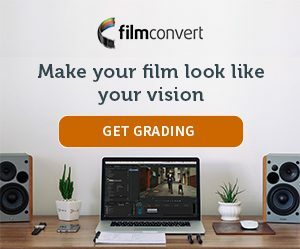 That’s how I found FilmConvert. It’s more than just a filter and some grain, the plug-in actual replicates exactly how certain stocks of films react with certain colors and lighting conditions. I’m telling you, I had to closely study real Super 8 footage and what FilmConvert did with C-Log footage captured on a Canon 1D-C was nearly perfect. I had a few cinematographers come up to me and say how cool it was that we got to use Super 8 on the project, people that actually work with Super 8 on projects, so everyone was convinced it was the real deal! While I was making fake Super 8 at work, at night I would edit “Own The Nite.” I started applying FilmConvert on a few clips and it made it look so good! 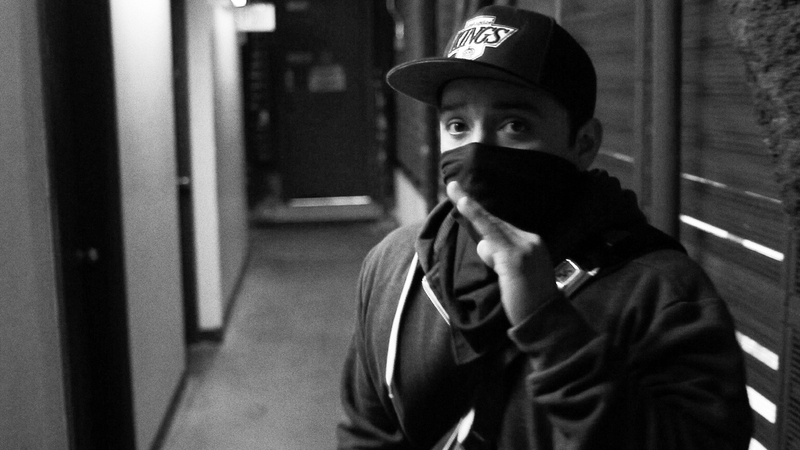 It added a sense of authenticity and immediacy to the footage. Sometimes digital just looks too clean and well, digital. 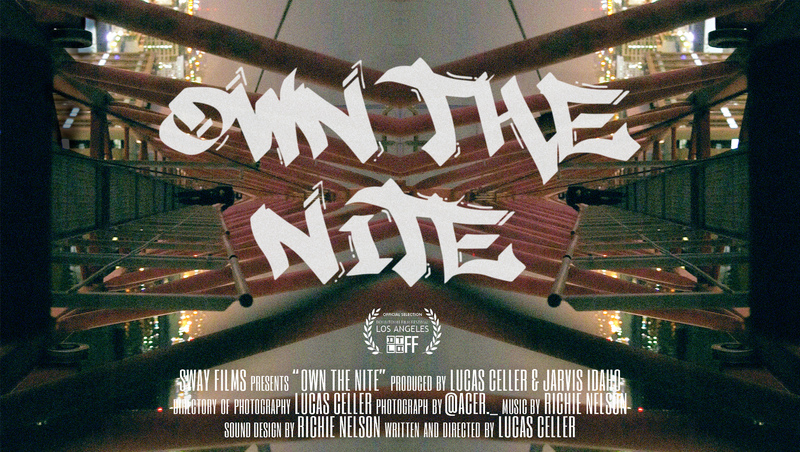 That’s totally fine on most projects, but “Own The Nite” needed to be gritty, robust and street-feeling. Obviously I couldn’t afford real celluloid because this was a zero budget documentary, so I chose the next best thing! Before I even shot a single frame, I wanted “Own The Nite” to feel and sound like one of my all-time favorite documentaries, “Dark Days“. A film made by British filmmaker Marc Singer that follows a group of homeless individuals that were living in the tunnels underneath New York City during the mid-1990s. What really stood out to me about it is the gritty black and white footage that was constructed from discarded ends of Kodak film that were donated to Singer. The film’s crew consisted of the subjects themselves. They rigged up makeshift lighting underground by stealing electricity and operated steadicam dollies on the actual railroad tracks for certain shots. Some of them even learned to use the 16mm camera and filmed themselves. This is the realest looking film ever made. It isn’t pretty, but that was exactly the point! The footage perfectly reflected the environment and characters of the film, hence why it won the Cinematography Award at Sundance 2000. I left all the fun stuff to the very end. 90% of my time was telling the best possible story of the footage and audio I captured. Once I was picture locked, I already had a few presents made whenever I got exhausted during the editing process and needed to change gears. I kept to two presents. All the color footage was Fuji 8543 VD with a 50% curve and 50% 35mm Full Frame grain. All the black and white was Kodak Tri-X 400 with a 50% curve and 100% 35mm Full Frame grain. I used three different cameras, a Canon T4i, Canon 5D Mark III and finally a Canon 1D-C. I only used two vintage Nikon Nikkor lenses for the entire film, a 35mm and a 50mm.